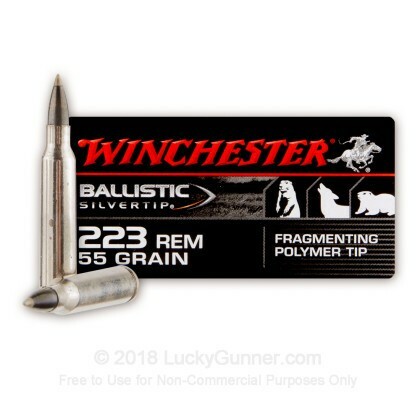 This 223 Remington ammo manufactured by Winchester is perfect for varmint hunting with its long range accuracy and rapid, controlled expansion. 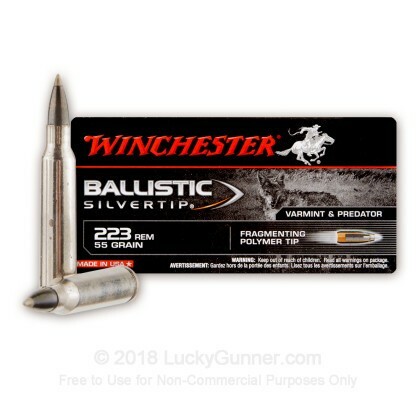 Winchester's Ballistic Silvertip line features a polymer tipped projectile that is designed to quickly expand and fragment on impact creating massive take down power on varmint sized game. Additionally, each projectile has a patented Lubalox (Black Oxide) coating designed to reduce wind drift and deliver on target performance. Finally, this cartridge features nickel-plated brass casings which provide even greater corrosion resistance than traditional brass improving the shelf life of this round. 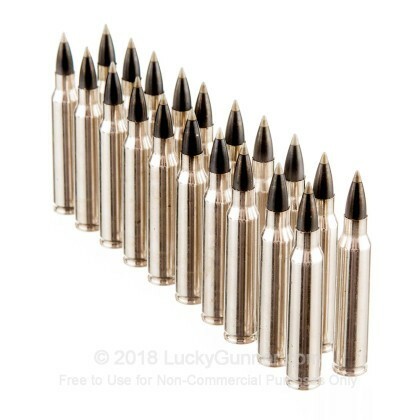 The next time you take after a pesky varmint, consider using Winchester's premium line of Ballistic Silvertip ammo. just got this ammo for the first time. love it. will be buying more . great price. 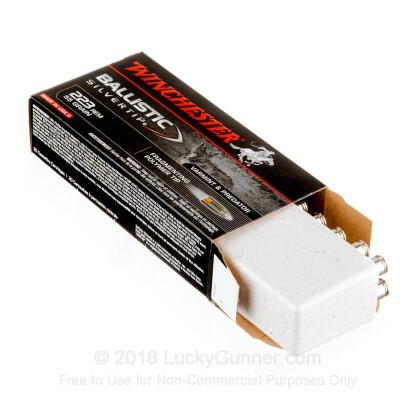 where I live we have very little choice for ammo so I buy online with lucky gunner. super fast delivery. 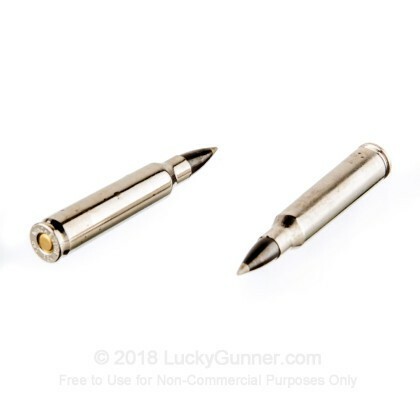 this ammo shoots clean and straight. no problems.thanks L.G. My dept used to use this as duty ammo. Now we use it as training ammo until it's gone. 13 people fired 15,600 rounds on 7/18/2016. Everyone including myself had at least 1 failure to fire shooting Colt rifles. 2 people shooting Rock Rivers had 2-3 issues with failure to extract. I noticed during brass call that the necks often split after shooting. The bullets were sometimes very easy to push into the casing. Temp was 100° F.
My wife & I are bench rest target shooters. 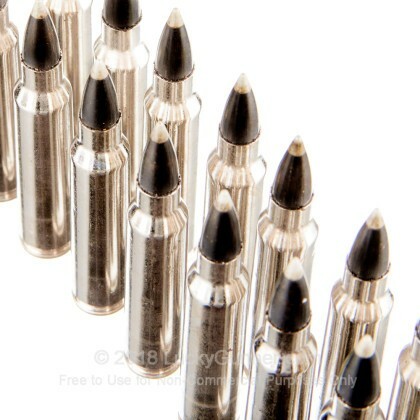 With the Winchester.223 55 grain Ballistic Silvertip we are consistently achieving 1 inch groups at 200 yards. Great ammo!